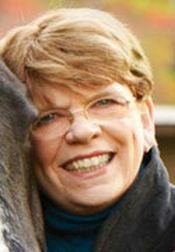 Ever the fan favorite, New York Times bestselling author Linda Lael Miller has perfected the historical western romance genre. The lucky grand prizewinner in her September contest will reap the rewards of Linda’s hard work when the winner receives a copy of the just-released fifth Stone Creek novel, THE BRIDEGROOM (HQN, August 2009), and an advance reading copy of A CREED COUNTRY CHRISTMAS (HQN gift hardcover, November 2009). Set in late-1800s Montana, A CREED COUNTRY CHRISTMAS introduces readers to Logan, Dylan and Tyler Creed’s forefather, Lincoln Creed. As a nod to the book’s Montana roots, Linda will also give away this gorgeous “The Greatest Story Ever Told” statue from Montana Silversmiths to the grand prizewinner. Three great prizewinners will each receive a Linda Lael Miller book as well. Gideon Yarbro is known for stopping outlaws almost before they break the law, but now the undercover agent must stop a wedding—despite the bride’s resistance. Lydia Fairmont will lose everything if she doesn’t honor her betrothal to a heartless lawyer—unless, that is, she can quickly marry someone else . . . love match or not. Determined to honor an old promise to Lydia, Gideon carries her off to Stone Creek and makes her his reluctant wife. Forget the honeymoon—that’s not wise with a vengeful ex- fiancé on their trail. Yet maybe, just maybe, there’s hope for the marriage . . . and two hearts always meant to be as one. Visit www.LindaLaelMiller.com, where you can also sign up to receive Linda’s newsletter and read her delightful blog! You will be added to the Linda Lael Miller mailing list to receive occasional notices of interest. You'll also be added to the Fresh Fiction News. Unsubscribe options are available with each issue.